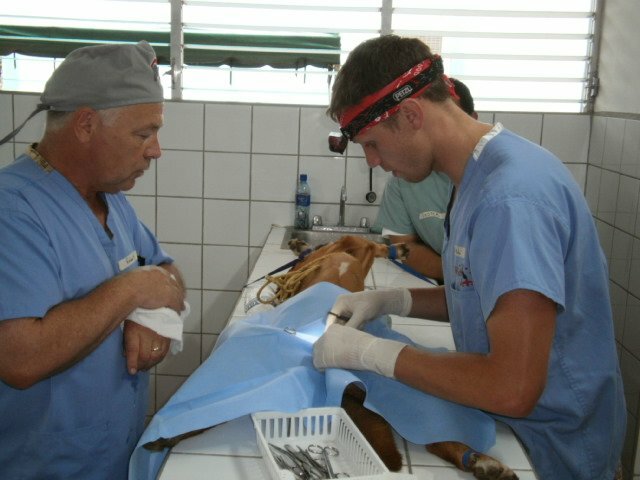 It is with much enthusiasm that we heard the news that the Fondation Brigitte Bardot will be providing funding and support for our large scale sterilization campaigns in San Juan Del Sur, Nicaragua. In 2010, multiple campaigns will take place in the city and surrounding barrios to provide spay/neuter surgeries and medical consultations to the local animals. With much enthusiam, the project is already underway! 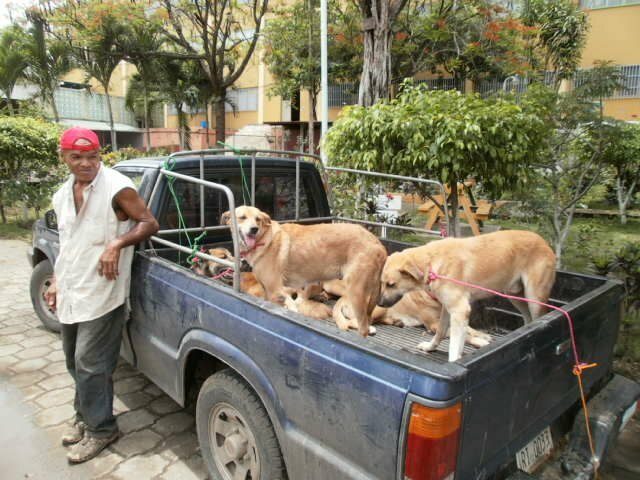 The animal situation in Nicaragua is quite desperate with thousands and thousands of animals in need of attention. There are so many people who make this work possible- the Fondation Brigitte Bardot, the World Vets volunteers, the local community volunteers, the local Nicaraguan veterinarians and veterinary students, community leaders and the local veterianry school. 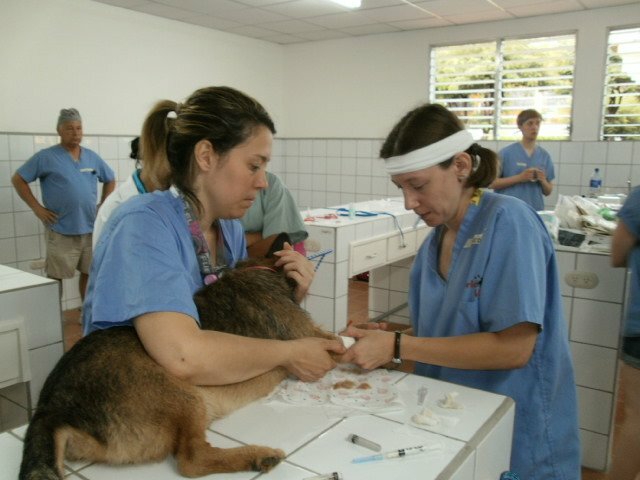 In fact, the team is working hard right now offering free veterinary services to the local community. Although the team has battled obstacles such as extreme heat and humidity, mudslides, scorpions and power outages, they have continued to work hard and stay focused on the mission. I will provide more updates and stories as the work continues in Nicaragua.